Easily one of the coolest things about teaching here in Savannah is that I can design and teach a special-topics course. Here's a poster for a class I'm going to be teaching in the Winter Quarter. 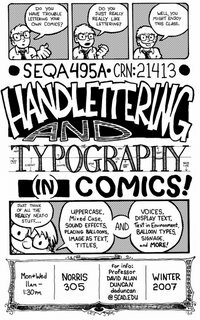 i'm looking for samples of hand lettering for my son. i have a lettering book that is designed for scrapbooking and not something either of us finds useful. 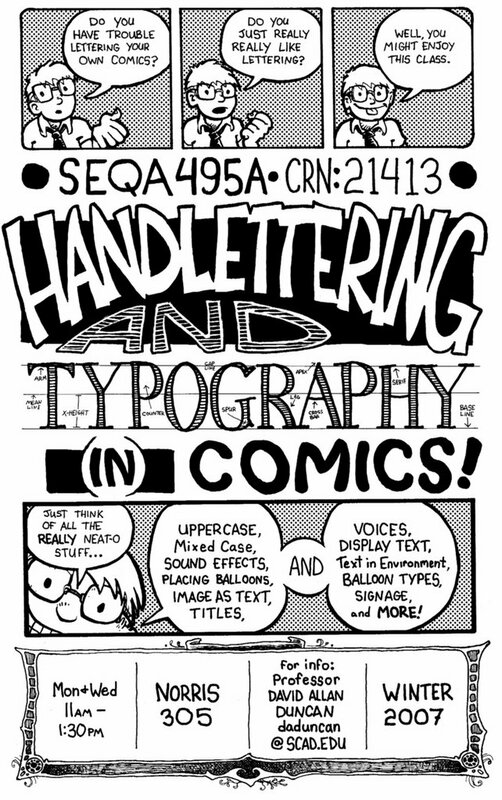 do you know of any online resources for comic style hand lettering that he can learn from?